Pauls Airplanes - OV 10 80"
I like airplanes like fat kids like cake! This airplane is powered by a pair of E-flite Power.60s operated by a Phoenix 80 ESCs. 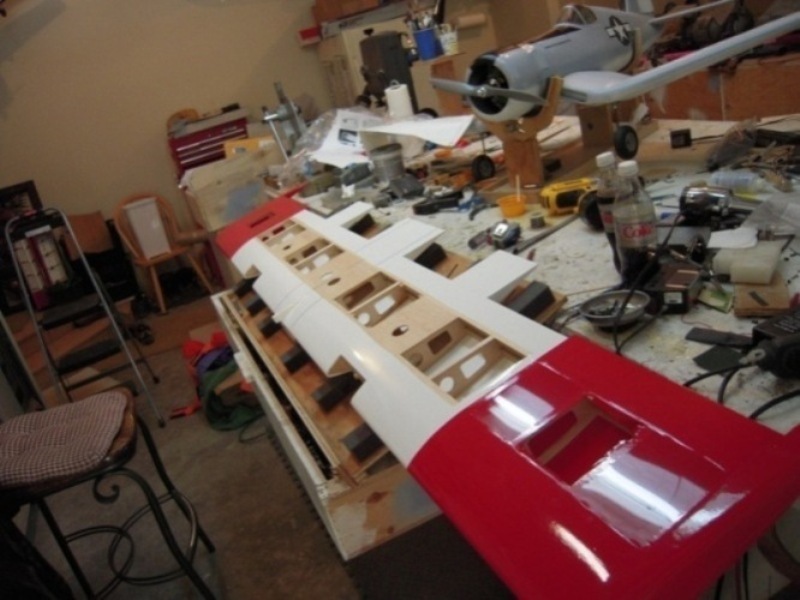 The first thing I did was to open up the wing and install a torque tube to operate the flaps. Since the flaps are so large I thought there might be serious trouble if one or one whole side failed to deploy. Now they all work off of one quarter scale 250 in oz servo. I made a wing holder that allows me to position the wing on its edge if need be. Built into the wing are the radio receiverand two ESCs. I also instaled three pheumatic lines for retracts and breaks to be instaled later.